We’d be hard-pressed to choose a single best diesel engine of all time, but there are certainly a few we’d immediately put forward for that honor — it goes beyond just Duramax, Cummins, and Power Stroke — and they each have their own strengths and drawbacks. Chrysler 3.0L EcoDiesel: Making up to 240 hp and 420 lb-ft of torque, the small but potent EcoDiesel has been seen in SUVs like the Jeep Grand Cherokee and trucks like the Ram 1500. It’s also the industry’s only light-duty diesel engine. Cummins 5.9L: Making up to 215 hp and 440 lb-ft of torque, this 12-valve Cummins engine kickstarted the modern turbodiesel-pickup movement. It was the first to be a truly viable alternative an alternative to Dodge’s big-block V8 gasoline engine. Cummins 6.7L: Making up to 385 hp and 865 lb-ft of torque, the latest high-output 6.7L offers the most torque ever available in a non-specialty pickup truck. It’s also a common choice at Diesel Power Challenge events. Duramax 6.6L LBZ: Making up to 360 hp and 650 lb-ft of torque, the Duramax LBZ is one of GM’s best diesel engines for pickup trucks, mostly because it’s a modifier’s dream and beats its competitors in horsepower and torque output. Duramax 6.6L LML: Making up to 397 hp and 765 lb-ft of torque, the LML is seen in Chevrolet and GMC 2500HD and 3500HD pickups. Everything from redesigned oiling strategy to next-level PCM calibration helped boost performance, and it’s also the cleanest Duramax to date. Navistar/Ford 7.3L Power Stroke: Making up to 275 hp and 525 lb-ft of torque, this legendary powerplant adopted a no-nonsense attitude that makes it one of the top-performing workhorse engines around. Ford 6.7L Power Stroke: Making up to 440 hp and 860 lb-ft of torque, Ford’s own Power Stroke features a large, single variable-geometry turbocharger, 19mm injector tips, and new “Cobra Head” downpipe to deliver exceptional performance. 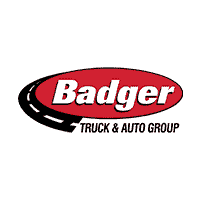 With locations across Wisconsin serving cities like Chicago, Madison, and Green Bay, the team here at Badger Truck & Auto Group is passionate about diesel performance. Whether you’d like to compare top manufacturers or take a test drive, feel free to contact us today. 0 comment(s) so far on What is the Best Diesel Truck Engine?